Join us for a creative, hands-on art lesson with an emphasis on fun. 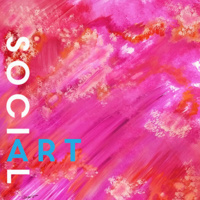 Art Social is one of our SHORTS programs, often held right near the MAG’s front entrance. This program is a great way to get yourself a little more motivated and creative, and you can bring a friend! $15 cost includes all supplies and museum admission.